This 14,000 square foot home sits on 16 acres overlooking iconic Paradise Cove. 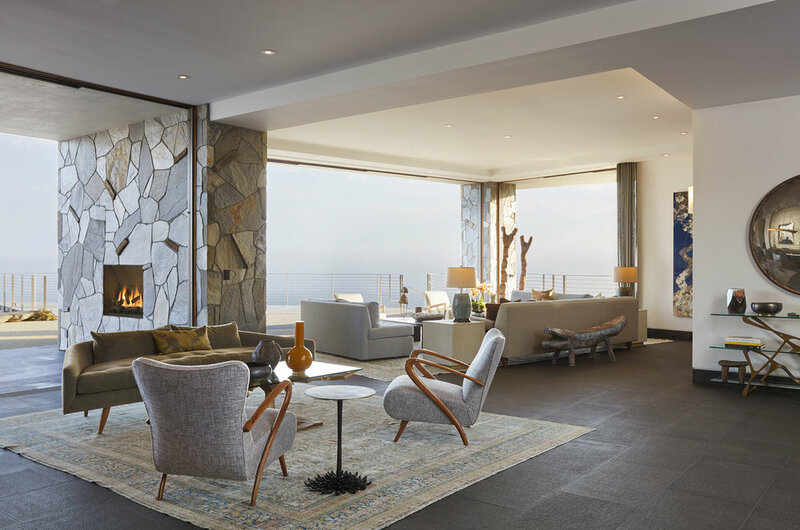 It has 180 degree unobstructed views of the water as well as the notable distinction of being one of the largest LEED Platinum private residences in the United States. Bradley integrated the interior and exterior spaces to provide seamless indoor/outdoor living for his clients. 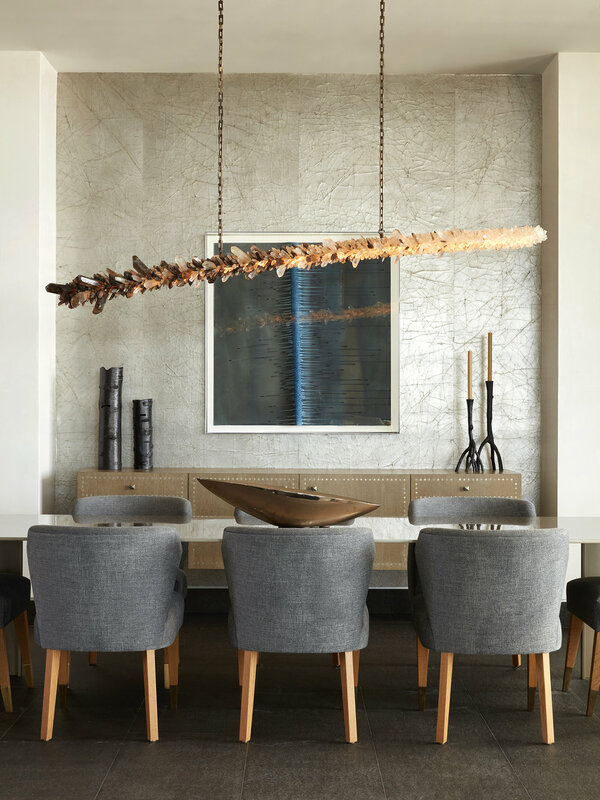 Taking cues from the hills above and the sand and water below, he created an earthy environment that is relaxed enough for Malibu living, but sophisticated enough for world class entertaining. 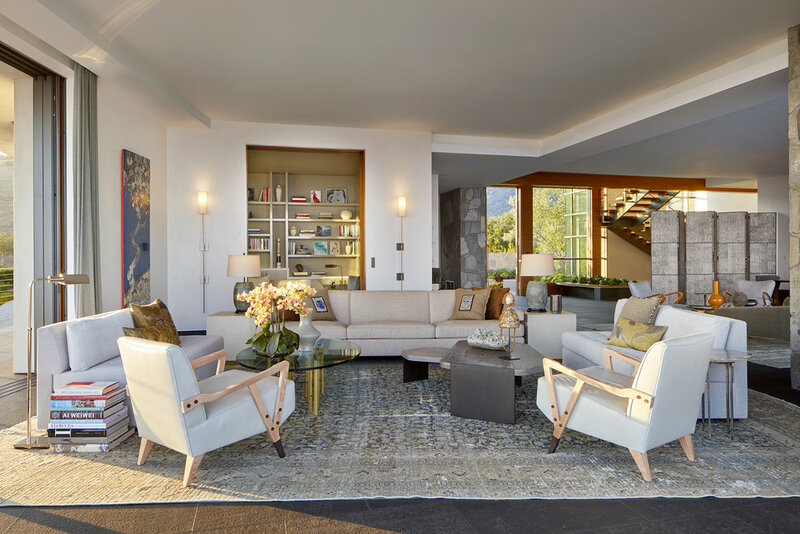 The home features several of Bradley’s custom furniture pieces as well as artwork from notable Los Angeles artists.